Staying in budget hotels Naklua bay doesn’t mean giving up on quality. 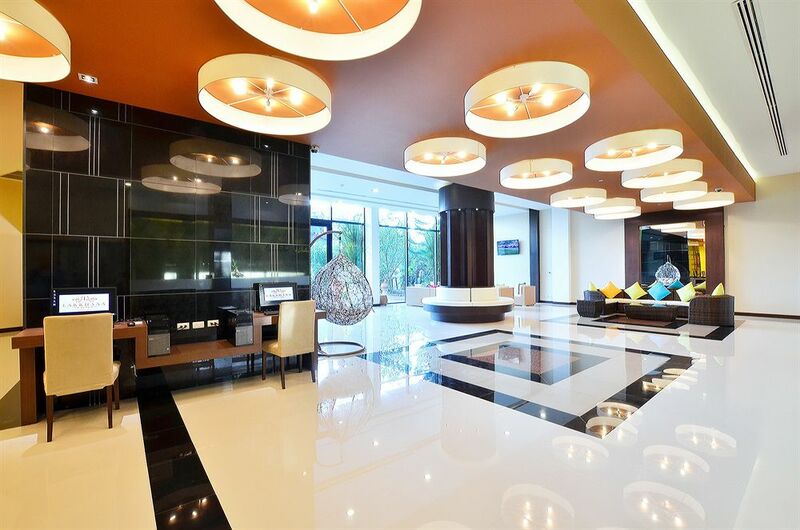 The Naklua bay and Wong Amat areas of Pattaya are much more famed for the larger luxury 5 star properties that line the beach front. But the area also boasts a great selection of cheap hotels that offer great standards and service. There are many budget hotels in Naklua that could have made the list, but we have narrowed the list to what we think are the best 5. We have chosen our selection for those hotels that offer a great level of service and standard relative to their prices. Staying in a cheap hotel Naklua bay doesn’t have to mean lowering standards, here in Pattaya it is possible to experience luxury on a modest budget. Villa Wanida garden resort is located only 2 km from Naklua beach and only 3.5 km from the city the center. Giving this great little resort a perfect location for those wishing to explore the wider city. The resort offers free shuttle services. The resort boasts 96 modern rooms, 2 swimming pools, fitness center and a great restaurant. Making this place great for families, couples and singles. With such great standards, gorgeous rooms and a good location it is no wonder this tops the list of budget hotels Naklua bay. 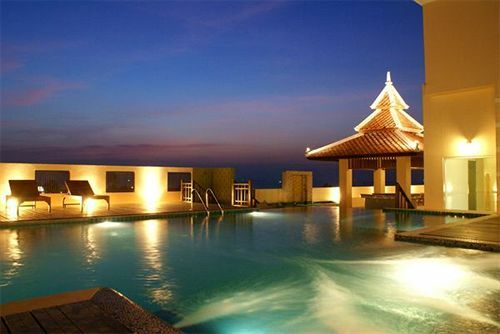 The 84 room Lakkhana poolside resort is located in Naklua, 2 km from the Naklua beach and 1.9 km from central Pattaya. The hotel and all of its rooms are impeccably styled in a modern and clean design. The hotel as a great pool as its name would suggest, as well as a restaurant offering Thai and international cuisines. There is a tour desk and free shuttle service making it a great resort for families and smaller groups. With average trip advisor rating of 4.2/5 and prices starting at only $32 a night it is no wonder this is one of our picks for budget hotels Naklua bay. 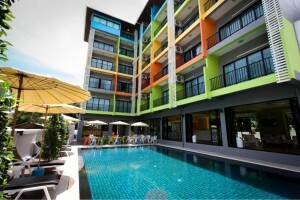 The U Dream hotel Pattaya is a small intimate 35 room boutique hotel. Located on Naklua Soi 16 it is perfectly located for the beautiful Naklua beach, as well as getting to central Pattaya which is a short 5-10 min ride away. Each of the hotel 35 rooms are of a good size, and decorated in clean modern look. But what really sets this boutique hotel apart is the level of service offered by the staff. Guests here really experience the best of Thai hospitality. The hotel has a small pool area as well as an onsite restaurant. 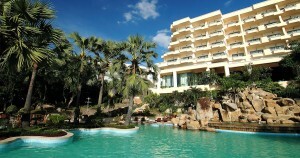 The Aiyara Palace is located on the main Naklua – Pattaya road. This is a great location for those who wish to explore on their own and use the famous Baht bus system as the these can be picked up right outside the hotel. The 123 rooms have been recently decorates with a modern Asian twist, each is very well appointed and comfortable. The hotel boasts a great poolside area, restaurant and roof top bar. The only hotel on our budget hotels Naklua list to boast it’s own private section of beach. The Garden sea view resort is a great budget option for families. The hotel buildings and rooms are all smoke free zones. 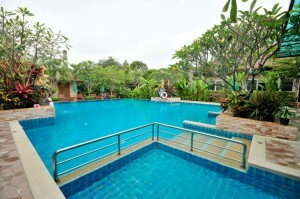 The poolside is the best for this price bracket you will find in Naklua. 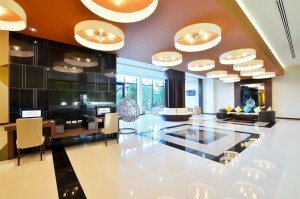 As well as its two pool areas, there are 4 restaurants, 2 bars, a fitness center as well as a business center.